An exciting line-up of bestselling and critically-acclaimed authors will share the table of contents with some of the horror genre’s best new voices in the Horror Writers Association’s next anthology, Hallows’ Eve. Co-edited by Ellen Datlow, past winner of HWA’s Lifetime Achievement Award, and Lisa Morton, one of the world’s leading authorities on Halloween, Hallows’ Eve presents sixteen never-before-published tales that explore every aspect of the darkest holiday. 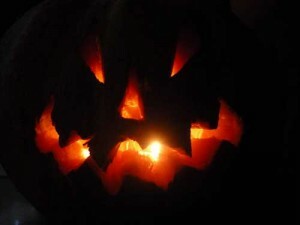 In addition to stories about scheming jack-o’-lanterns, vengeful ghosts, otherworldly changelings, masks that cover terrifying faces, murderous urban legends, parties gone bad, cult Halloween movies, and even trick or treating in the future, Hallows’ Eve also offers chilling explorations of related holidays like All Souls’ Day, Dia de los Muertos, and Devil’s Night. Hallow’s Eve will be published by the Blumhouse Books imprint of Anchor/Doubleday in 2017. The deal was negotiated by Alec Shane of Writers House for HWA. The Horror Writers Association is the world’s largest and oldest organization devoted to promoting the interest of horror writing and writers. In 2016, the organization released the young adult-themed anthology Scary Out There, edited by Jonathan Maberry and featuring new fiction by R. L. Stine, Neal and Brendan Shusterman, Ellen Hopkins, and more. Scary Out There was published by Simon and Schuster. For more information on HWA and its anthologies, please visit http://www.horror.org . 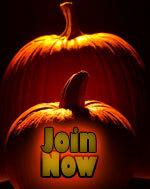 For a PDF version of the Hallows’ Eve press release, please click here.